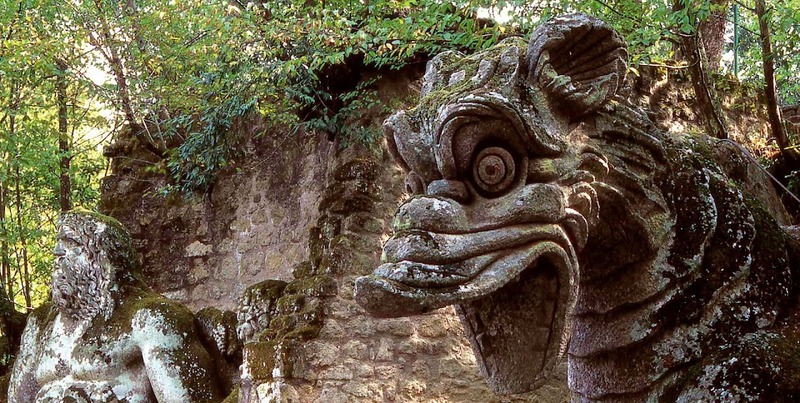 The product of 30 years of research, Marilyn Brown’s Scotland's Lost Gardens: From the Garden of Eden to the Stewart Palaces rediscovers the fascinating stories of the nation’s vanished historic gardens. Drawing on varied, rare and newly available archive material (the link is to some examples shown on the BBC's website) combined with and modern aerial photography, Brown reveals Scotland's disappeared landscapes and sanctuaries. From the monastic gardens of St Columba on the Isle of Iona in the sixth century and encompassing royal palace gardens. 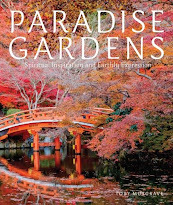 What emerges is a remarkable picture of centuries of lost landscapes and a perspective of how Scotland’s garden art and cultural heritage sits within a wider European movement of shared artistic values and literary influences. White House Google+ Photowalk attendees take photos in the White House Kitchen Garden during Spring Garden Tours on the South Lawn of the White House, April 21, 2012. Now here is an invitation you don't want to miss! Continuing First Lady Michelle Obama's commitment to opening up the White House, this October there is an opportunity to visit the the White House gardens. To be eligible to apply for an invite you have to be a White House Social Media follower - hence the event's full name, 'The White House Social Fall Garden Tour' - and to apply, please follow this link to the White House Social. 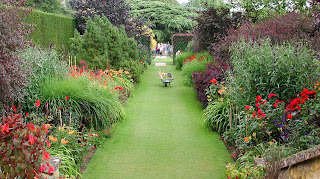 Many thanks indeed to My Garden School for awarding this blog a 'Top 100 Gardening Websites 2012 Award'. It is much appreciated and valued. Autumn/fall is now upon us unfortunates in the Northern Hemisphere, but it has its pluses. In particular the wealth of wonderful fruits. Although as I am sure you all have read, the apple and pear harvests this year are poor due the inability of bees to have flown and pollinated during the awful weather earlier in the year. For those of you who, like me, love the newly harvested apples as much as their fascinating history, may I suggest you take a look at Orange Pippin. 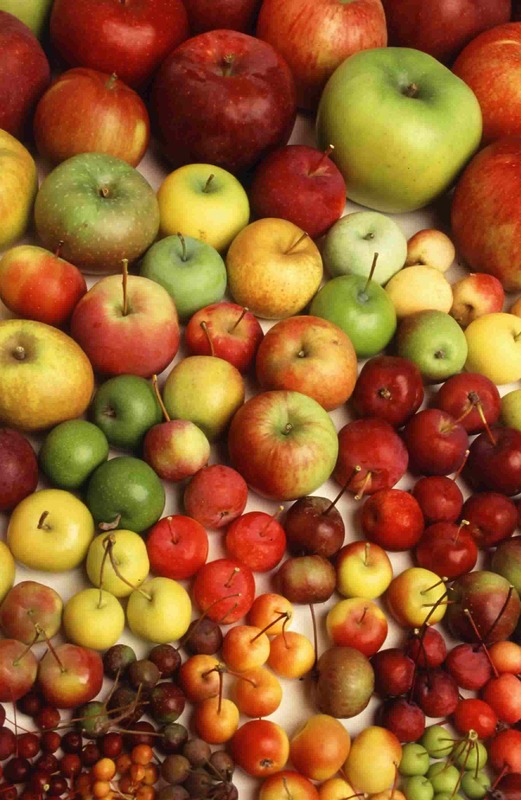 It is a fascinating, informative and useful website that not only gives the history and descriptions of a host of apple and plum cultivars, but also lists orchards where they are grown, events - oh, and just loads more. Take a look and enjoy....but don't forget to plant heritage/heirloom varieties! One of the many plants introduced by the plant hunter Ernest Wilson (who recently featured in this post) was the snappily-named Emmenopterys henryi. The species is named for Augustine Henry who discovered but did not introduce the tree. Henry, an Irishman who was employed by The Imperial Chinese Customs Service as an Assistant Medical Officer was sent to Yunnan to study medicinal plants, where he also made a huger herbarium collection which is now at RBG, Kew. 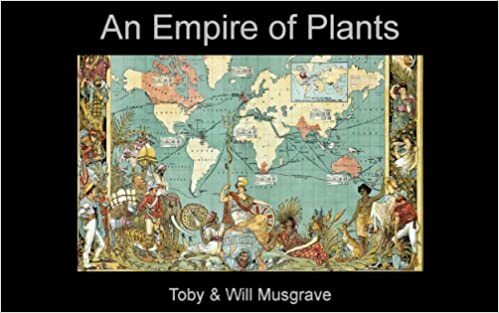 Arriving in Britain in 1907 at a time when Wilson was in the employ of the Veitch nursery, the tree which Wilson described as ‘one of the most strikingly beautiful...of the Chinese forests’ does not flower often. 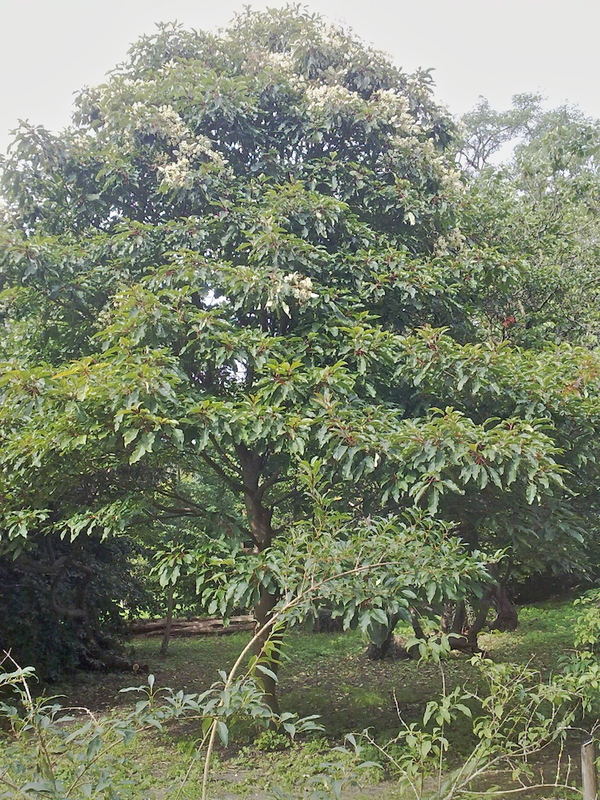 In fact, the specimen currently in bloom in the Cambridge University Botanic Garden is only the fifth to have flowered in Britain. So if you are in the vicinity, take the once-in-a-generation opportunity to see a rare beauty. If you are fortunate enough to be in or near this wonderful city, then this weekend offers an extra-special opportunity to do dome serious garden visiting in San Mateo and Hillsborough. The organised by the San Mateo Arboretum Society's this weekend's event is the 37th Annual Fall Garden Tour - tickets and more information via this link. 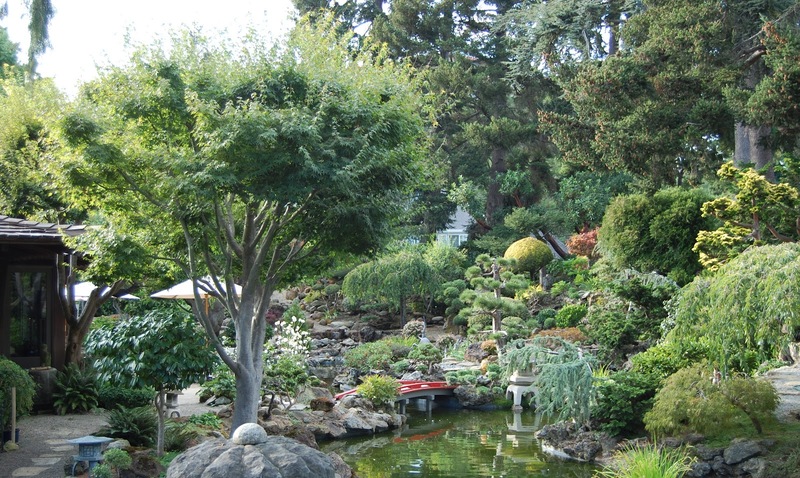 There are six gardens are open to the public, with the highlights being perhaps the San Mateo Arboretum itself and the Eugene J De Sabla, Jr Teahouse and Tea Garden. The latter is a nationally recognized historic resource listed on the National Register of Historic Places. The garden is one of the only two remaining gardens designed by Makota Hagiwara, who also designed the Japanese Tea Garden in Golden Gate Park. Both the historic landscape gardens of Claremont (National Trust) and the Claremont Mansion (Claremont Fan Court School) are open this Sunday 8 September for 'Heritage Weekend'. The history of the estate begins with Sir John Vanbrugh who in 1708 built himself a small house and began work on the gardens. In 1714 Vanbrugh sold the house to the wealthy Whig politician Thomas Pelham-Holles, Earl of Clare, who later became Duke of Newcastle and served twice as Prime Minister. The Earl commissioned Vanbrugh to add two great wings to the house and to build a fortress-like turret on an adjoining knoll. From this so-called 'prospect-house', or Belvedere, he and his guests could admire the views of the Surrey countryside as they took refreshments and played hazard, a popular dice game. Work on the gardens began around 1715, and by 1727 they were described as ‘the noblest of any in Europe’. 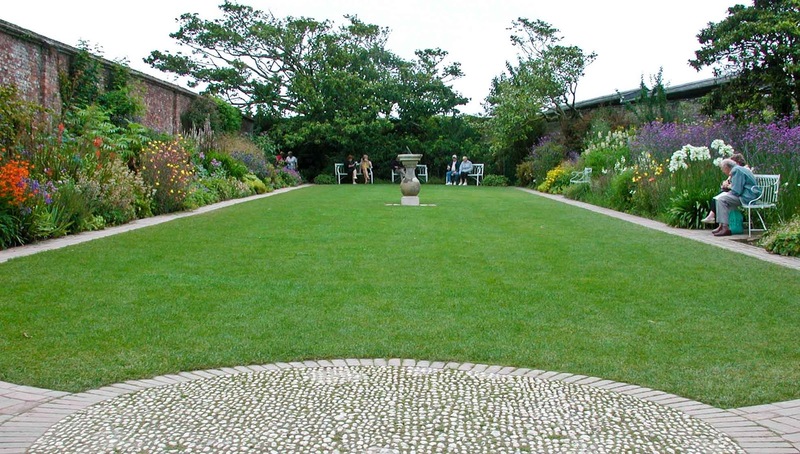 Within the grounds, overlooking the lake, is an unusual turfed amphitheatre. Today they are especially important as an early example of the English Landscape Garden and contain elements by the all the great landscapists - Charles Bridgeman, William Kent and subsequently 'Capability' Brown. In 1768 Newcastle's widow sold the estate to the super-wealth Robert Clive, Baron Clive of Plassy, who is is said spent £100,000 (about £10,400,000 today) on his new mansion and the grounds. Clive's Palladian mansion is an interesting example of 'Capability' Brown's work as an architect. Subsequently it was occupied by Princess Charlotte (daughter of George IV) upon her marriage to Leopold of Saxe-Coburg. It was also favourite of the young Queen Victoria, who celebrated many of her birthdays here. In the aftermath of the 1848 Revolution Victoria offered the mansion as a refuge to the French King Louis-Philippe and his Queen Marie-Amelie. 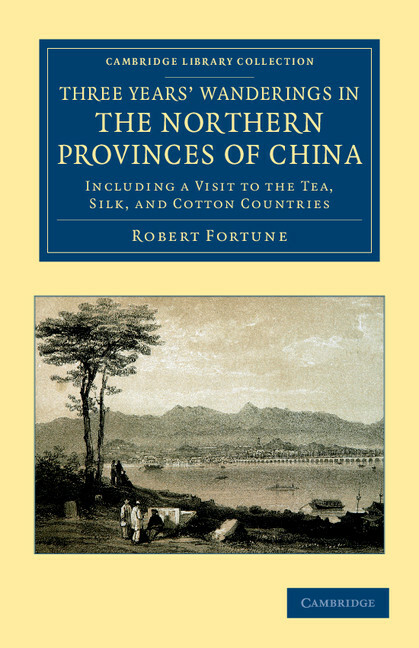 A nice post by Caroline on the Cambridge Library Collection blog introducing the plant hunter, Robert Fortune. The post also mentions the current exhibition 'Plant Seekers' at the Garden Museum in London - well worth a visit. 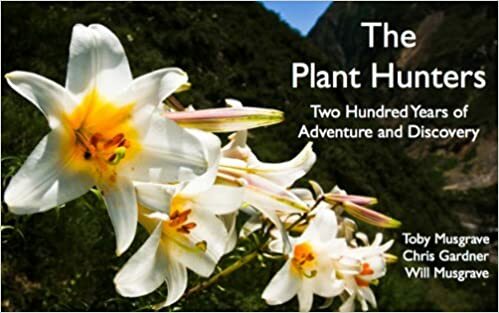 And just to give a heads-up, I shall be soon publishing my book The Plant Hunters as a Kindle edition...watch this space. The historic gardens at Stanley-Whitman House, CT. 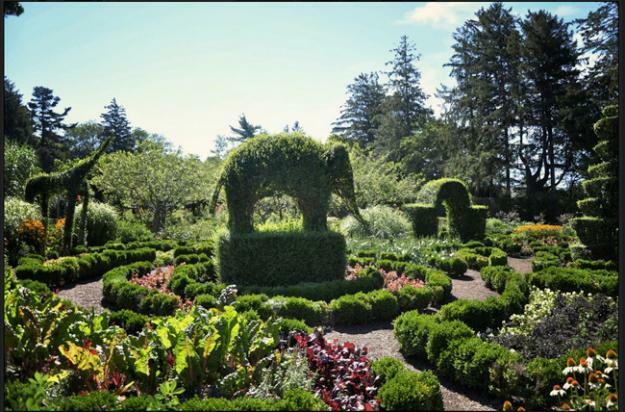 The 'Dooryard Garden Society' is a group of volunteers and museum staff who have recreated the only example representing authentic pre-1800 gardening in Connecticut. Part of the challenge of recreating a 'dooryard garden' as early settler gardens are known is the research - finding evidence. Especially since the gardens changed so much. 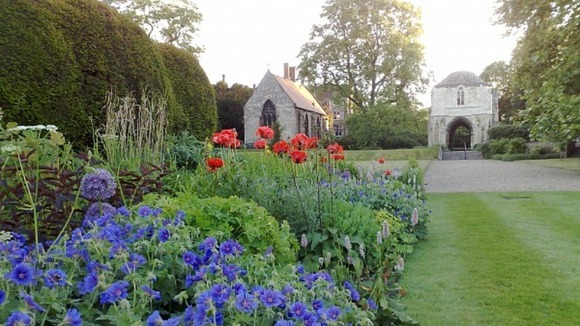 From gardens planted with species and cultivars brought from England to a mix of native and introduced as the gardeners had to adapt to a new climate and new plants. The garden contains a mix of fruits and vegetables, and flowers and herbs, most of which had a medicinal value. And all of the 80 or so taxa are 'period correct'. That is to say, were available in the Colonies in the mid- to late 18th century.